The category-leading Sola has gone BLUE! What do you get when you combine Light & Motion’s expertise in underwater light with NIGHTSEA’s know-how in fluorescence? 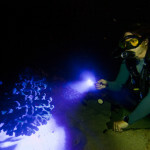 The Sola NIGHTSEA Light, the most advanced tool for fluorescence diving on the market. 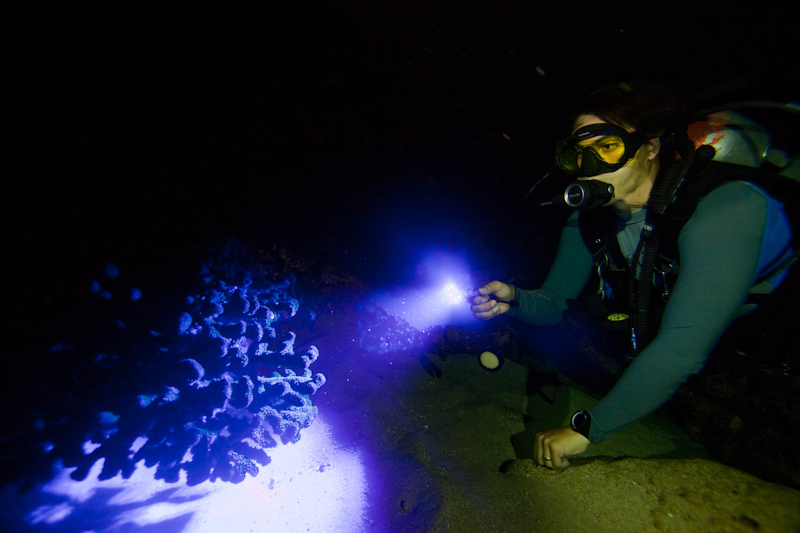 This light is built from the ground up for fluorescence diving. 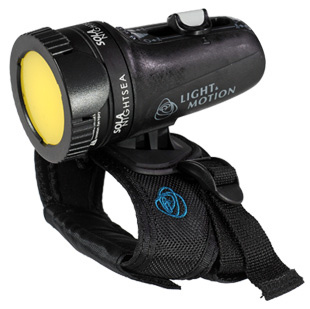 3-LED spot mode for intense illumination over long distances – ideal for searching. 6-LED flood mode for wide-area illumination – great for video and as a focus light. 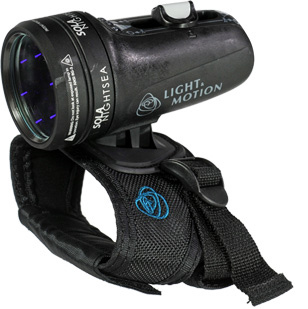 The included front cap is a remote phosphor material that turns the blue light to white – perfect for general orientation, reading your gauges, and seeing just what it is that is fluorescing. This is not a white light with a blue filter. The Sola NIGHTSEA Light takes full advantage of the high output efficiency of LEDs by using blue LEDs coupled with NIGHTSEA’s proprietary interference filter that fine tunes the output for maximum viewing effect. Check out the great video shot with the new Sola NIGHTSEA Light by Jeff Honda. The Sola NIGHTSEA Light comes standard with a convenient hands-free grip. A variety of accessories are available for mounting the light on your camera rig.